Click here for the most current information. The Salem Food and Wine Festival was a nice night out on Saturday. My husband, my mom, and my dad and I walked into the Jackman Long building around 5pm Saturday evening to take in the local epicurean scene. Honestly, my first impression was that I had accidentally walked into the exhibits at the State Fair. The event (was) run by Excel Expos, after all. There were vendors selling trinkets, demonstrators with headsets, wineries giving tastings, and shoved to the side were a couple food vendors. Once the initial shock had worn off, we all settled in with the wine tasters and made our way across Southern Oregon and back up the Willamette Valley to the local Salem vineyards. The array of wines available to taste provided a great learning experience. We tasted some less common varieties like the Baco Noir, which made its way to the Umpqua Valley from the Bordeaux region of France. We also enjoyed wines for which Oregon is popular such as the Pinot Noir and Riesling. Among our favorites were Cubanisimo out in West Salem, Silvan Ridge near Eugene, Hillcrest in Roseburg, and Bradley Vineyards in Elkton. There were also the usual merchandising vineyards, where wine quality is not their number one goal. The lack of Salem vineyards, saddening as it was, left room for us to explore the hidden gems of the lower Willamette Valley. The local vineyards at the festival were Cubanisimo, Willamette Valley Vineyards, Chateau Bianca, Orchard Heights, and Honeywood. After a few tastings it was time to pair the wines with some local food. Walking around the building we noticed the lack of local restaurants and caterers. But hey! We could easily refinance our house at the mortgage booth. The only local restaurant was the Flight Deck. Grand Vines was there but only with a wine display. There were two catering companies selling light lunch fare and two farmer's market food stand regulars. It would be nice if this event could become a place to taste local restaurants' specialties just like we taste wine. If caterers can bring plates of quiche to the festival, what's to stop a few noodle dishes, hors d'oeuvres, or paninis from being served. After all the grumbling, our group ate at our favorite Saturday market stand the Canby Asparagus Farm. Their take on traditional Mexican fast food and stir fried veggies is never disappointing. I hope you enjoy the slide show. Can't you tell we had some fun with the vineyard owners and employees? Trinkets and guys with headsets, were they selling juicers or was it the non-stick pans? I went to a fishing expo at the fairgrounds one time and it was all bass fishing. I was asking around about where I could go bass fishing in Salem, no one really knew. Cubanisimo has a beautiful winery atop the West Salem Hills that is worth checking out. What's the purpose of the pouring bubble? I know there was a pampered chef rep, I saw one person with some ShamWOWs. CutCo knife, Bath Fitters, and Penguin Windows were a few of the less epicurean booths. Bass fishing? eh? Maybe over in Bend you can find a place, but I'm not so sure about Salem. I wonder how much the expo corporations research about their target audiences in each city? We've been trying to get out to Cubanisimo, but we always run out of time. They don't do tastings until April so we'll have wait for spring to roll around. The pouring bobble is very interesting. Its used in Germany to taste brandy. It regulates the amount for each tasting so no one is given too small or too generous a tasting. The Bradley Vineyards owner saw them when he was in Germany and asked the winery they were tasting at if he could buy some pouring spouts instead. The Germans were a bit confused, so Bradley's owner made sure he bought some wine and brandy from them too. The spouts make a great conversation piece for those visiting his booth. We were intrigued. So, let me see if I have this correct: they charge an admission, the wineries charge for the tastings (how much?) and there is little to no food but they charge full price for it too? I guess I don't see the point in going. Seems like it's not so much a celebration of food and wine, but a source of revenue for the production company? Please correct me if I'm mistaken. I'm sure Lisa Anne will want to weigh in on this also, but since I'm available and I accompanied her, I'll add my two cents worth. Since this event is put on by an expo company (see link above), I'm thinking the admission is their fee for organizing. The wineries and food places pay a deposit, booth fee, additional fees for tables, chairs, electrical hook-ups, table skirting & covers and for a phone line. The tastings cost .50 cents to a dollar, but are forgiven if you make a wine purchase. And so you see you're exactly right - it's a win win for the production company. Personally, I'd love to see Salem do something similar to what Corvallis does. It's run by their downtown group and provides an opportunity for people to visit downtown businesses, while tasting wine, eating appetizers, etc. Anon. : I totally agree. If it hadn't been for the fact that the tickets were given to us and I wanted to do a review for the blog, it wouldn't be a very wise choice to attend, monetarily speaking. It was very cool to see and taste so many quality wineries in one place but our wallets started to scream near the end of the evening. If the event was completely centered around Willamette Valley wines and Salem foods and all of the non-food and wine places were gone, it would be worth the experience and the cost, IMO. I think Salem needs a winter or fall even like this, but not exactly like the one we attended. This disaster sounds like the "Taste of Salem" mess held in the summer. I have seen these things work in other communities, work really well actually, but this sort of disappointment reflects badly on the whole Salem dining scene. The 'Salem dining scene' may be an oxymoron to many, but whatever the scene is, it is never going to grow with substandard events like this one. I would be willing to volunteer with anyone who wants help putting together a real "taste of" type festival here. Hmmm...the "Eat Salem" Food and Wine Festival sounds good to me. Now we just need an event planner or two and a financial backer. I would agree that this event is a rip off. Last year I went to this with a free ticket, my friend paid $7 and then we were suprised when we had to pay for tastings (most were .25 or .50 so I should have brought my change jar) then food and even food tastings cost more money. I didn't bother going this year. So it cost like $12 to get in, you get to hear some good music, but yes you have to pay for tastes of wine and I don't think any food vendor was giving away samples. What does Salem want? What would make a good festival? So far the best one I have been to in Salem was the new Wine and Music festival in downtown Salem, this last summer. 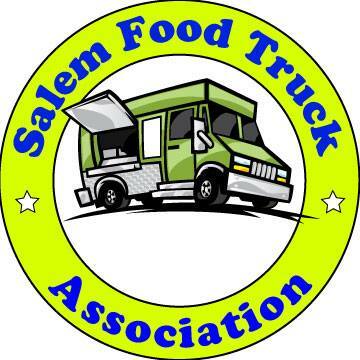 I don't know what everyone else wants, but I want a good sampling of Salem food and wine. I want to be able to taste local wines and local foods. Maybe have a tasting package where you purchase a $40 wrist band (price depends on number of vendors at the event)which gives you tastings of food and wine or you can buy them ala carte at the booths. A complimentary souvenir glass would be nice too. I also want to be able to purchase glasses of wine, bottles, and plates of food for dinner. Ambiance is important too. You can't have come guy yelling at you to come to his booth to possibly win a new TV or BBQ grill. Does this sound too difficult to achieve? As a wine vendor I don't like all the people yelling to come sign up for the Oregonian or BBQ grills either :) Scares the people away form my wine booth. I like Lisa Anne's thoughts - having a choice of a package or tasting as much as you choose. I also agree that the event should be all about the local food and wine. I don't remember which event it was we attended one summer, but in the beer garden all they offered was Bud and Coors. Boy, was THAT was a disappointment! Hey don't knock the king of beers. and why has their never been a queen of beers?? Or is that a bad question? I think you guys are on to something. Maybe a non-profit organization could do a wine and food event. They could charge a flat fee to get in and all the vendors could just give samples (more than one per person, per booth could have a small fee even). The vendors could sell full bottles of wine or full plates of food for their usual prices, but you shouldn't have to spend another cent other than the admission price if you don't want to. And no newspaper, shammy or bbq salesmen! The vendors could probably get a tax write off for it too as a donation to a non-profit. Seems like a win-win-win situation to me. Does anyone here have any memory beyond one year??? This event started as a fundraiser for Salem Catholic Schools. They sold it a few years ago to Excel Events. It was a fundraiser for non-profits. Everybody in Salem wants stuff for free and refuses to pay the market value for a night out. This was the first Food and Wine Festival we've ever been to. We enjoyed ourselves and yet had nothing to compare it to, but we did think it was important for us to report on the vendor presence and lack of food options. I had no idea this had been run by Salem Catholic Schools. Nice to get some history on the event. I still like the community aspect of the Corvallis Wine Walk. I know that revitalizing downtown is a priority with many people. Anonymous, I actually hadn't heard of this particular event before. I've been away from Salem for 8 years and recently moved back. I apologize if I offended you. I think the idea of the event is great and it may have been a worthwhile event a few years ago, or even last year. All I know is that the event I attended distracted from the food and wine scene in Salem and not worth the expense as-is. I didn't have a bad time though. I enjoyed the wines we tasted and the vineyard employees we chatted with. I had fun! Its too bad I didn't get to attend the festival when it was hosted by the schools. It would have given more meaning to the event. H, I completely agree with you, for what its worth. You described every food and wine event I've been to in other areas of the nation. You pay a flat fee for samples and admission, then you pay for the extras, the merchandise the vendors may or may not sell, at each booth. I also have been seeing adds for the Oregon Seafood and Wine Festival out in Newport. If someone goes to this, it would be awesome if they could report back. I'm interested in knowing what its like. My husband and I and my parents went to the Mo's festival at Willamette Valley Vineyards a couple years ago. $5 is a perfect admission price for a few free tastes (as I recall they were free... I could be wrong) and a stemless Ridel wine glass to keep each. The food looked good, though we were on our way to dinner, so we bought a bottle and shared it and watched all the people dancing to the band. Pretty lively time, bit of an older crowd than my husband and I :) But definitely worth the $5. You still pay for dinner. To all the people who commented on this event, I am please to inform you that I have firsthand knowledge that the event has been purchased by a local production company who agrees with all of the negative comments 100%! They are going to turn this event around, and bring it back to what it's supposed to be: A wine AND food fest! I spoke to the person who purchased the event, and they are in the works to bring a slew of local food vendors, and way more wineries, and NO obnoxious ShamWow or whopper-chopper guys with headsets! I personally am looking forwat to the 2010 event! Ironbar, thats awesome! Do you know the name of the company?